One of the nice things about getting older (yes, there are some positives...) is recalling the days when physical education (PE) teachers like myself smiled crookedly when asked about anything outside our locus of control (i.e., the gym and fields). We were so busy trying to do our jobs well: teach multiple classes at various grade levels, coach teams after school and on the weekends, etc., that it was hard to imagine assuming additional responsibilities. Yet today's physical educator is called upon to do so much more. For example, we ask them to collaborate with others on coordinated school health committees and take measurable actions to ensure their school's environment is conducive to physical activity. This makes sense because a school's PE teacher is almost always the movement expert on campus. I applaud this expanded role and cheer those physical educators who extend their reach and think outside their gymnasiums. Kudos to you all! After leaving K-12 teaching and coaching in 1990, I began working at the University level on research grants and instructing pedagogy classes. It was during this time that I became interested in the CDC coordinated school health model and expanding the role of the physical educator. I'm happy to report that while it took 25 years, it's great to see this is where the profession has been headed, and today's PE teachers are doing more than ever to create healthy school environments for all students. Public health organizations agree that children and adolescents should accumulate at least 60 minutes a day of physical activity. Even if a student has PE class every day (and few do) studies show many sessions are not very active. A popular rule of thumb for PE teachers is to ensure their students are engaged in moderate to vigorous (MVPA) at least 50% of class time. If a 45 min. PE class achieves this 50% goal, students receive 22.5 min. of MVPA, or just over 1/3 of their daily requirement. Conclusion? PE alone will not achieve the 60 min. a day goal. Therefore, other opportunities must be provided to students. This article will be presented in 3 more parts, each examining two areas at a time. Stay tuned for useful and relevant ideas that can help your school be more effective in promoting and providing physical activity in all six settings, and join us for the ride down Route 60-6! 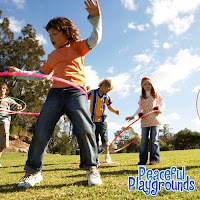 "This article brought to you by Peaceful Playgrounds' not for profit foundation, as a public service to support healthier students, schools, and communities. 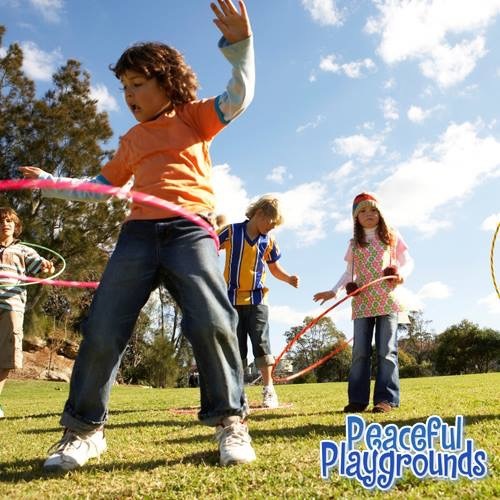 For more information on Peaceful Playgrounds, visit www.peacefulplaygrounds.com."